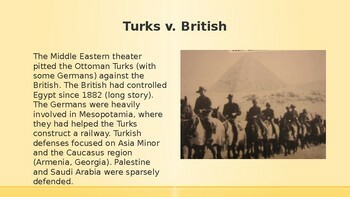 Second of fourteen lessons on the history of the modern Middle East. 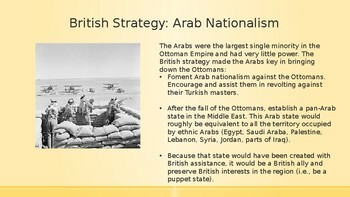 Most of the presentation is about the British attempts to utilize Arab nationalism to fight the Ottomans in the Middle East. 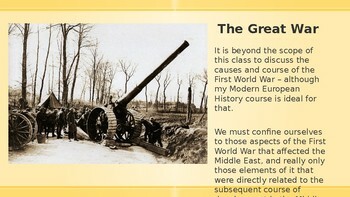 Good information on the life and contributions of T.E. Lawrence ("of Arabia") and discusses how the promises of the British to the Arabs were discarded with the Sykes-Picot Agreement.